Generate 20 different 2D and 3-D plot types such as scatter, line, bar, pie, radar, surface, contour, area, pyramid, candlestick, bubble, gantt. Rotate the plot, and set shadow, depth and perspective. Use any Windows font; support for Greek and mathematical symbols, subscripts and superscripts. Display, arrange, and print multiple windows, as overlays or inserts. Use a wide range of annotation objects. Use templates as a graphics style sheet. Plot real time (streaming) data, as well as animations. Export to 10 different output formats. Use image processing tools to enhance your graphic. IGX is designed to be run from GAUSS as part of a set of GAUSScommand file, from a template, interactively from the graph, or by running GAUSScommands while the graph is displayed. 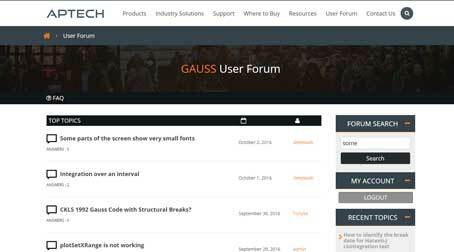 It is specifically designed for any GAUSS user who requires an alternative to PQG, and is available for the Windows version of GAUSS. You can visit Econotron Software's home page for a full description of IGX.